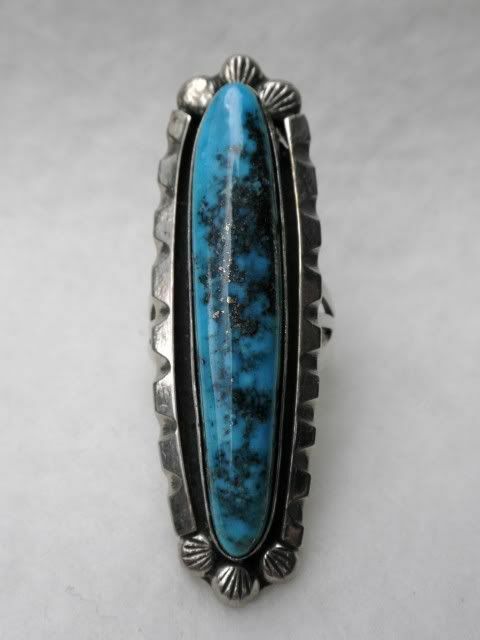 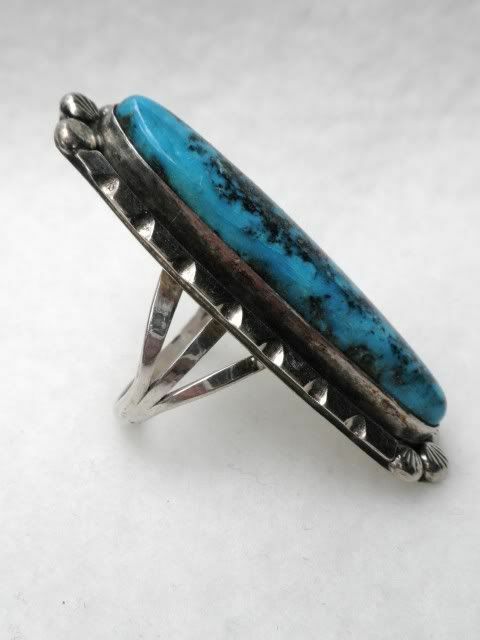 Vintage sterling silver American Indian ring. 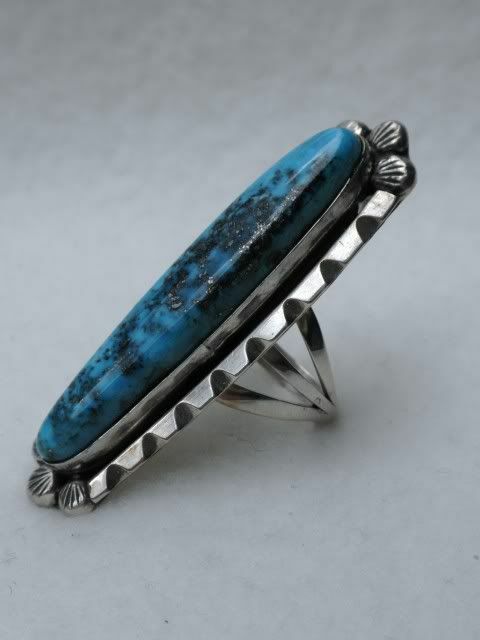 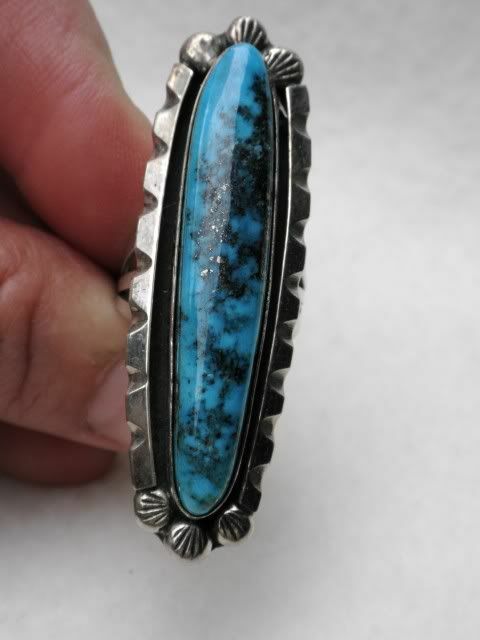 the ring is signed CLAW and marked sterling.The turquoise set is in excelelnt condition with no loss or wear. 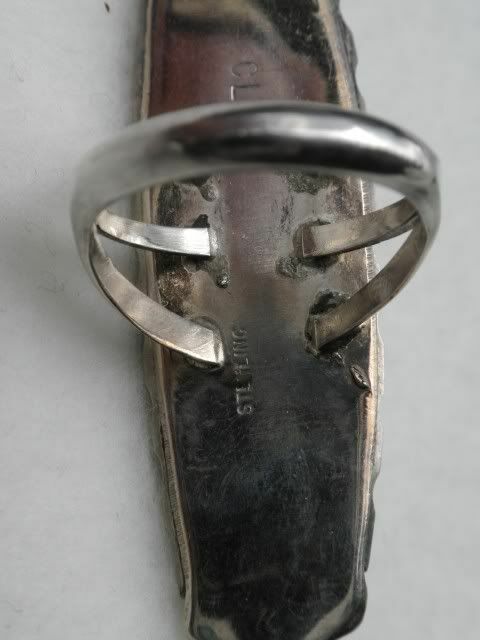 the ring is long measuring 2 1/16th" long by 5/8" widewith a projection of 3/8" . 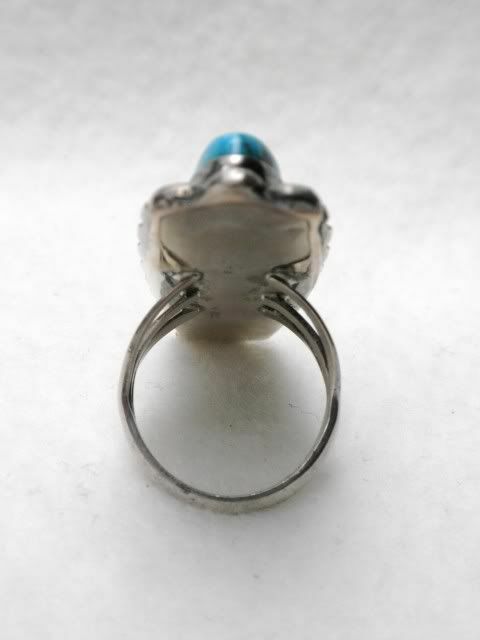 The ring is a finger size of 7 and weighs 15.3 grams.